What if you have a pattern that was already pre-scaled, but the document paper size is too large for your printer to handle? 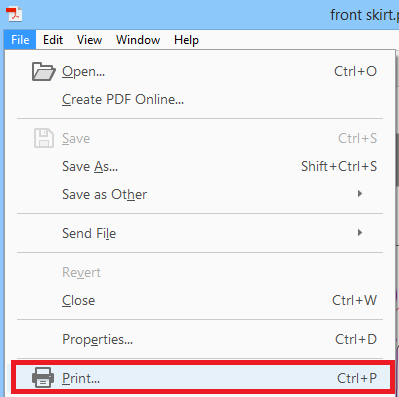 If you do not have access to a wide format printer, this tutorial explains how to print to several pages on a home or office printer using US Letter or A4 to assemble together. 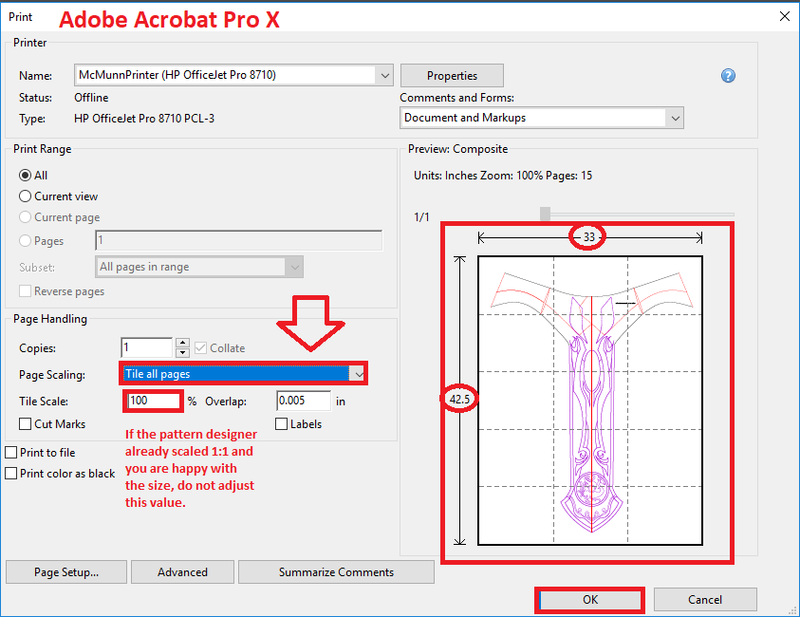 For both methods, do not worry about paper orientation (portrait or landscape) with regards to image positioning preview screens as you will be taping the individual pages together to create 1 large poster. 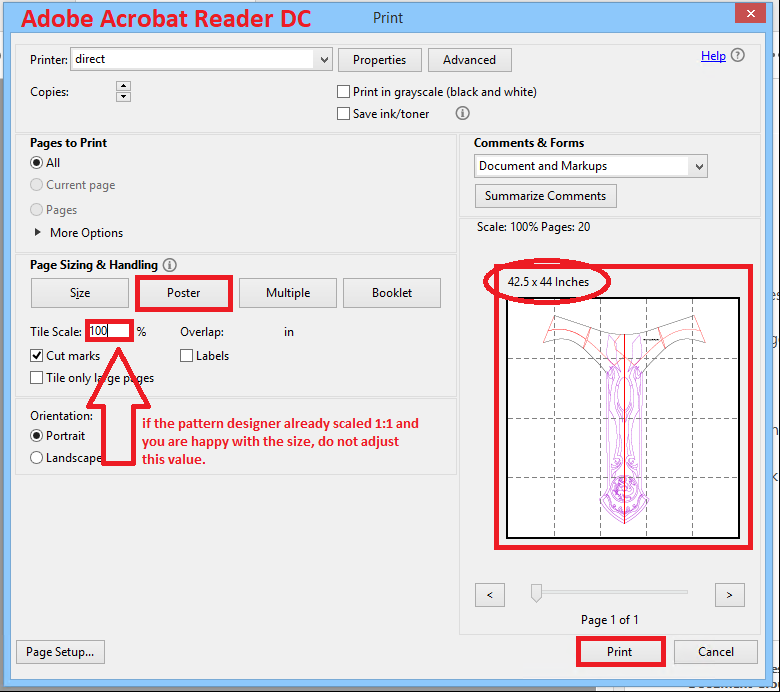 This method works for both US Letter or A4 standard size printers. First, open your PDF file. 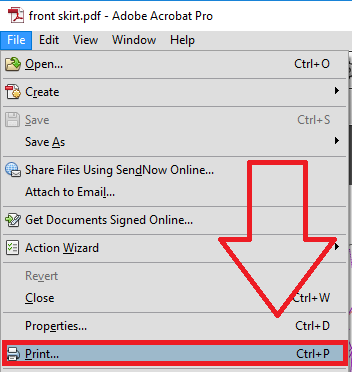 In Adobe Acrobat (any version, download HERE for free), hover your mouse over the bottom right of your PDF preview screen. 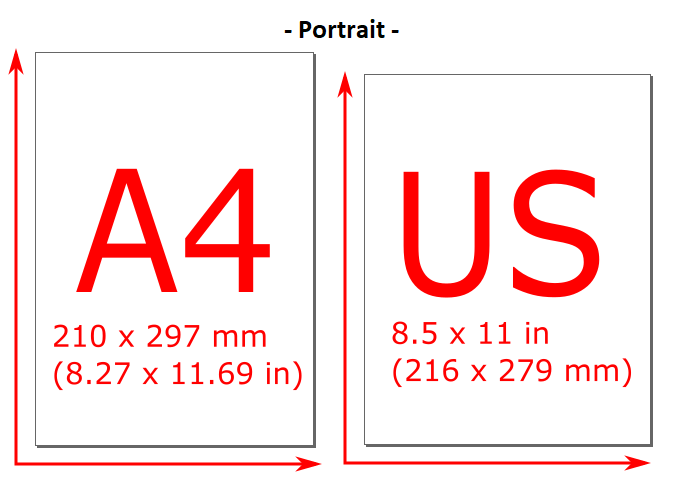 The document size must match BOTH dimensions to qualify as an A4 or US Letter size paper ready for print out without scaling. If any dimension (width or length) is greater than any values in one direction of the following chart below, then proceed to the next steps. Select [Tile All Pages] for the Page Scaling field. Leave Tile scale at 100%. 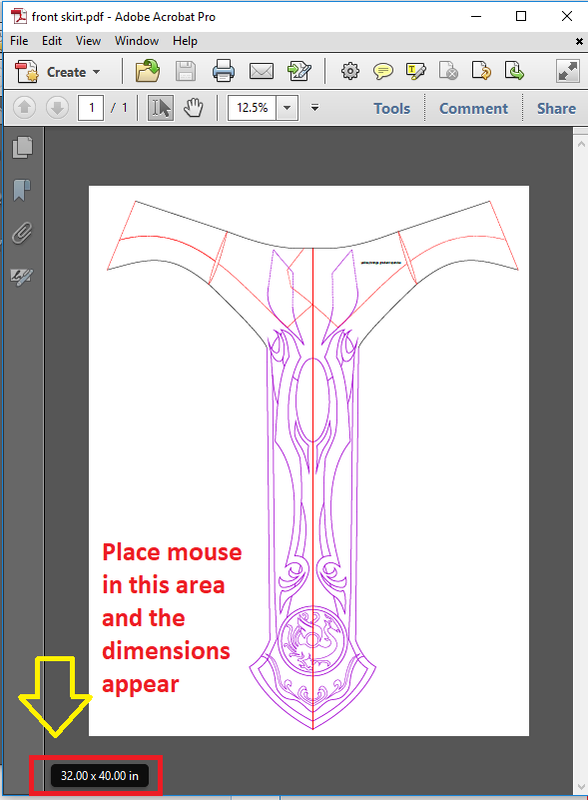 If the pattern designer already scaled the pattern as 1:1, and you are satisfied with the size, do not adjust this value. Press [Ok] when ready to print. Select [Poster] and Leave Tile Scale as 100%. If the pattern designer already scaled the pattern as 1:1, and you are satisfied with the size, do not adjust this value. Press [Print] when ready to print.